I almost thought I might not make it for the third day. I was blank, trying to think of ideas on what else I could make for this theme. Though I had recently worked on my breakfast index, I seem to have left out some of them and only during this search, I realized that I had already blogged about it. I was happy knowing I didn't make a repeat of something in the thought of not having cooked already. I think other than handful of dishes, which mostly covers my dals, sambar and Paneer Butter Masala, there are never a repeat at home. I always feel what's the point in cooking the same dish, unless it is something you are so much in love with. Like my kids are on PBM. 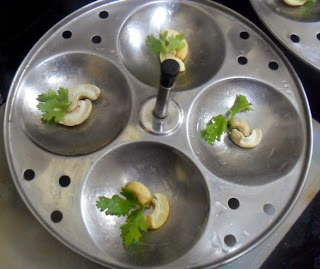 I might as well check out a new dish, and enjoy a new flavour rather than going with the same old subzis. Anyway final thought of course was that I was glad I didn't go with those ideas, which would have ended up being a repeat show. 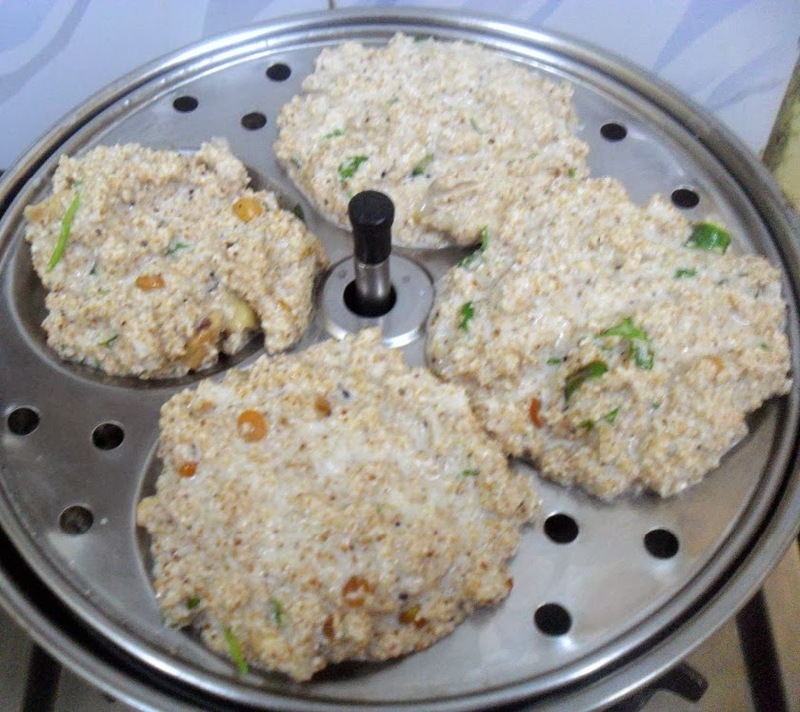 So I got this fine variety of broken wheat and tried this instant idlis. 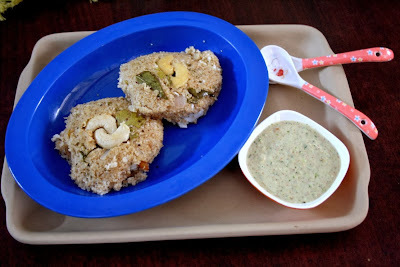 This was our Sunday lunch for Amma and myself, when we made non veg for the rest. 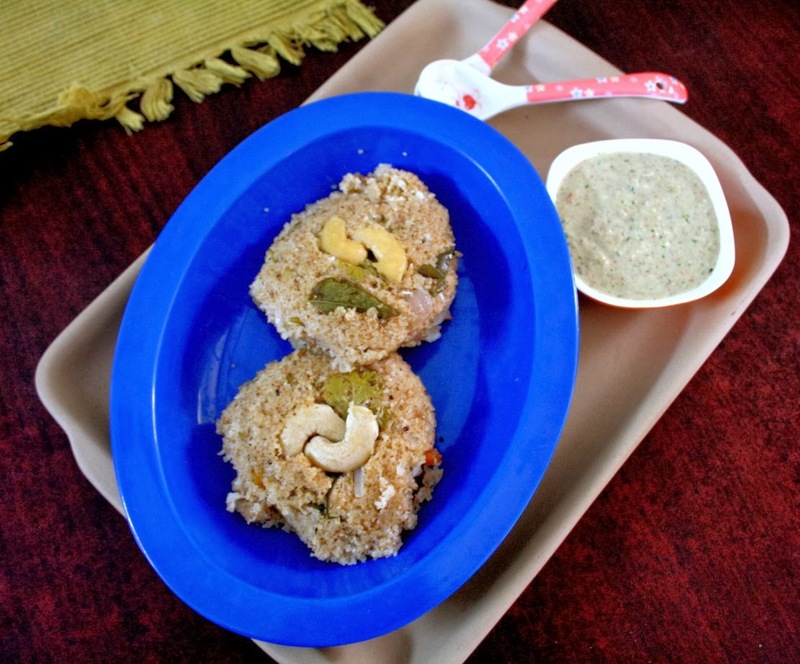 Amma liked it much and we decided we should make it for Dad and this would be an apt breakfast dish for Diabetes. 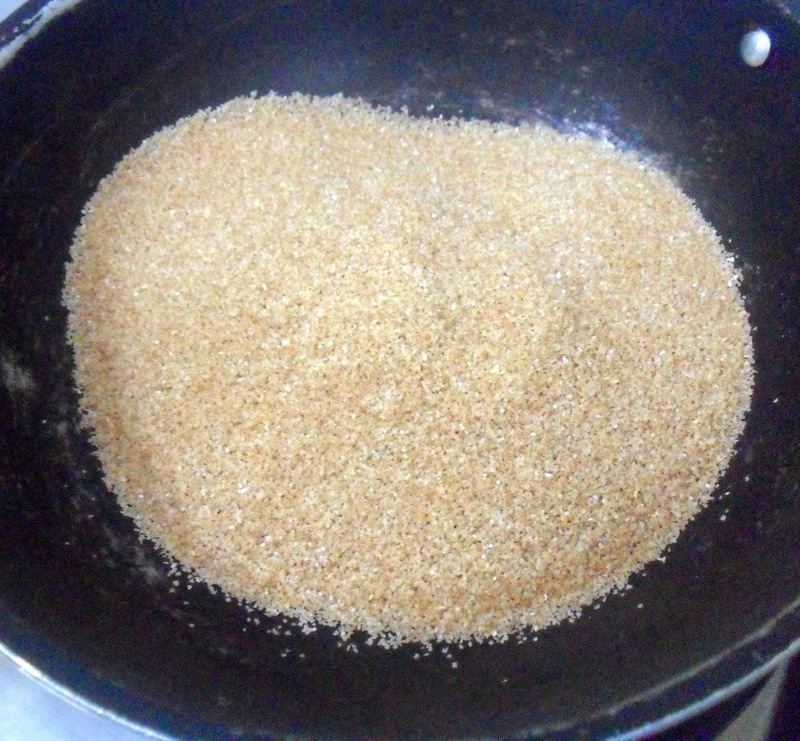 In a non stick pan, dry roast the broken wheat. Remove and cool. 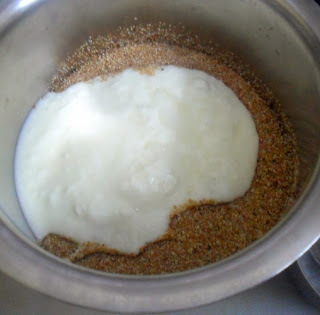 Transfer to a bowl and mix with curds without lumps. 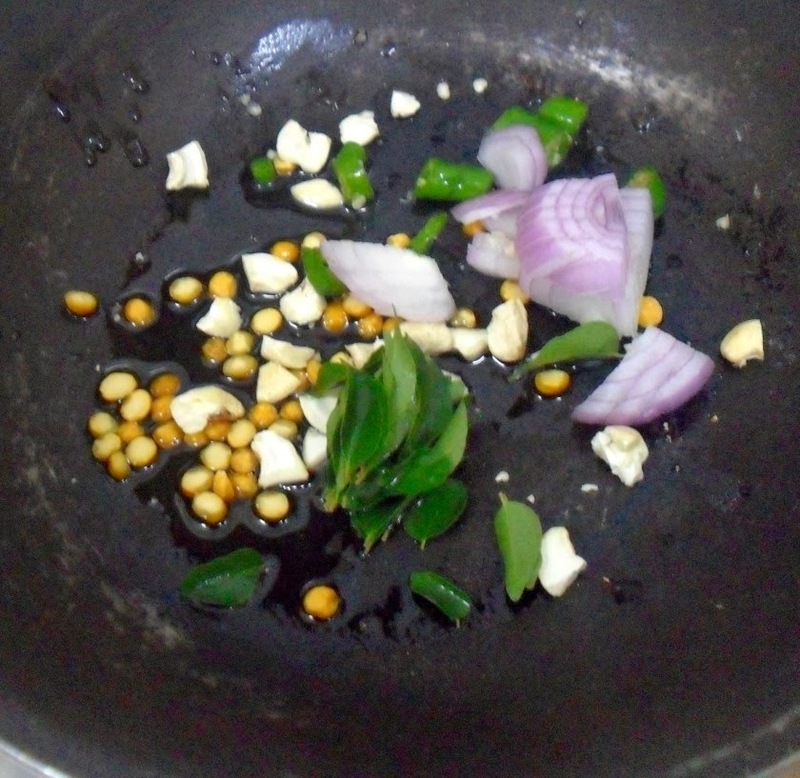 In the same pan, heat oil, add seasoning, sauté till onions are done and pour over the mixture. 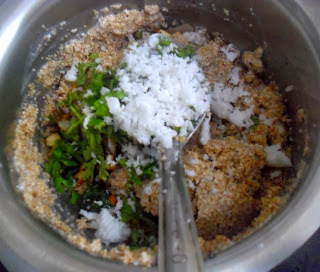 Add salt, coriander leaves and grated coconut. Now add water and mix well. Mix thoroughly, and pour in greased idli plates and steam for about 10 minutes. 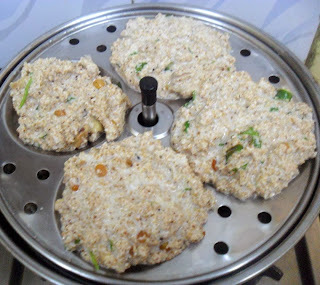 This instant idlis don't need resting as well. 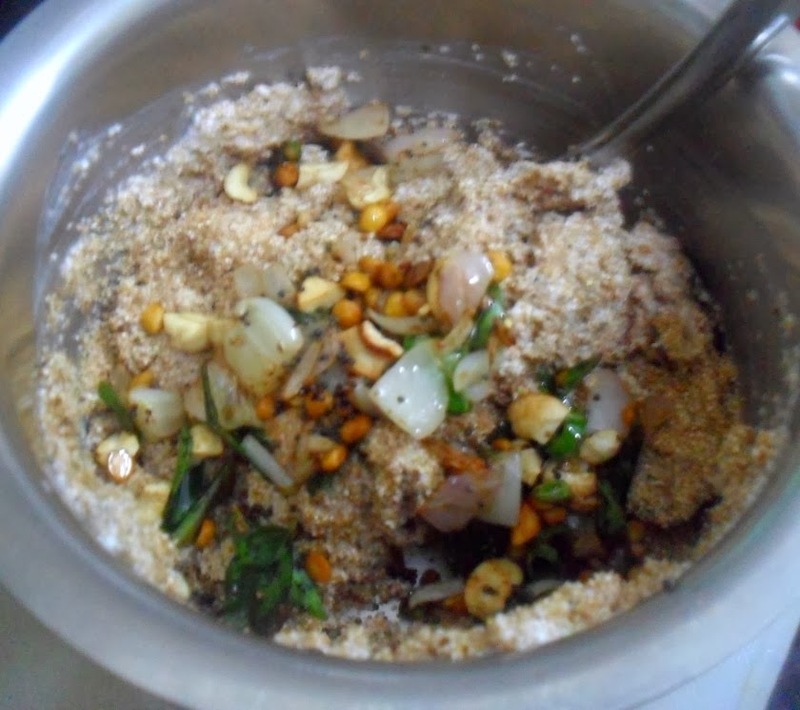 However as I was cooking something else along with this, I ended up resting this for 10 mins. The idlis were soft, though it did turn out to be little dry. So either increase the oil or water by 1/4 cup more.